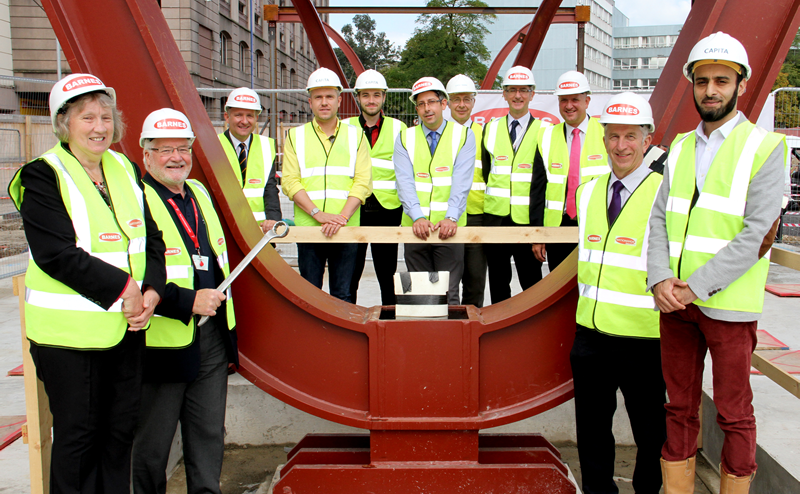 A steel signing ceremony was held at the new Blackburn bus station to mark the continuing progress. 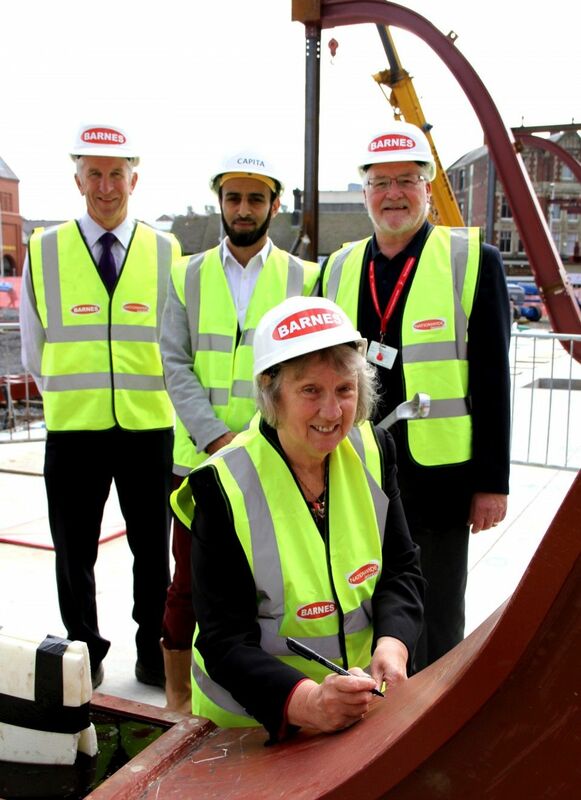 Councillor Maureen Bateson, Executive Member for Regeneration and Councillor Andy Kay, Executive Member for Resources from Blackburn with Darwen Council, signed one the iconic loops which form a central part of the new facility.Work is continuing on the installation of the huge loops at the site off Penny Street. The unique loops were designed by Capita in Blackburn and are being delivered to the site in stages. They arrive in two separate pieces and are put together by the constructors on site. Once the steel work is completed, the next stage is will be the start of the roof cladding and then the installation of the glazed façade along the Ainsworth Street elevation. Councillor Maureen Bateson, Executive Member for Regeneration with Andy Smith Contracts Manager from Barnes Construction, Altaf Master Associate Architect from Capita and Councillor Andy Kay, Executive Member for Resources from Blackburn with Darwen Council.